Burgers are one of the simplest ways to serve up a powerful mouthful of flavour, and lamb is one of my favourite meats to work with. It has a real richness that marries beautifully with those bright, fresh flavours. This recipe puts it with the incredibly refreshing combo of mint, yoghurt and cucumber, while flavouring the meat itself with a few bright spices. Finely chop about 1/4 red onion per burger and mix in a bowl with lamb and the spices. 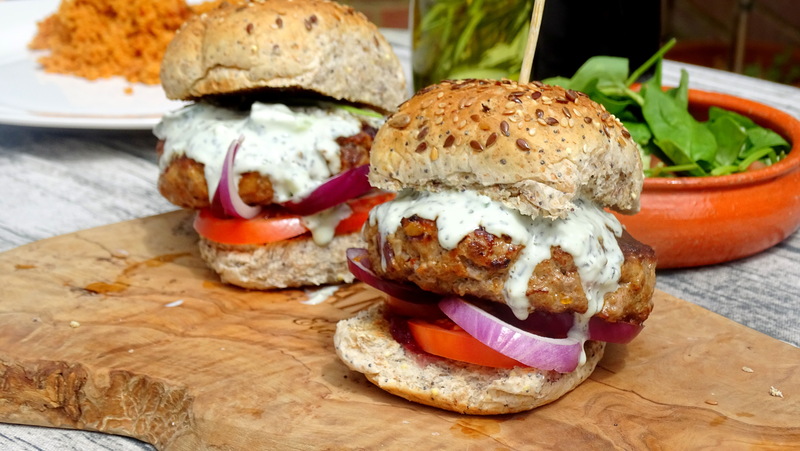 These are to taste, but I suppose I used around 1 teaspoon paprika and then half a teaspoon each of the rest to make 2 burgers. Shape into patties and rest in the fridge – if they’re cooler when they cook it allows you to get that crisp and caramelised outside without overcooking the middle. In a bowl combine equal amounts of yoghurt and goats cheese with around 1/4 amount of mint sauce and a handful of diced cucumber. Fry your patties in a little oil over a high heat while toasting your buns. Dress the buns by spreading some cranberry sauce on the bottom half and adding any vegetables (onion, tomato etc) you want. Gently place your patties on top, and then spoon over your goats cheese yoghurt. 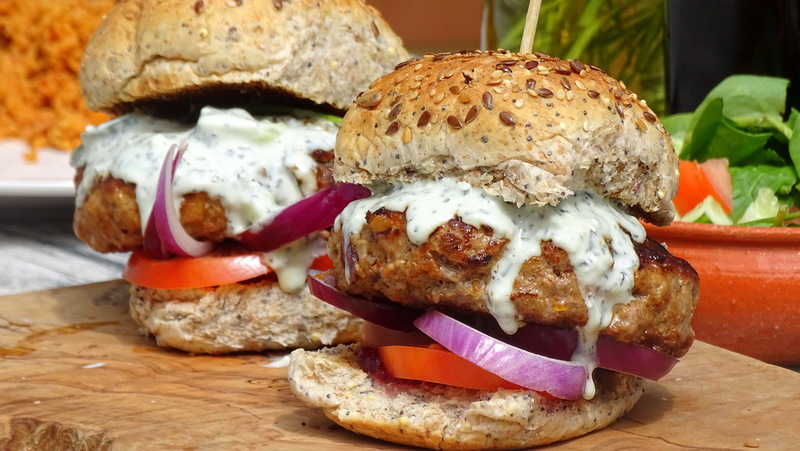 Posted in Guesscipes, Lamb, MainsTagged burger, food, goats cheese, guesscipe, lamb, mediterranean, mint, recipe, summer, Top, yoghurtBookmark the permalink.